Thanks to only using one snow day this winter, NHL was home on Thursday. The minute he woke up he begged to play with Play-Doh. I have fond memories of using Play-Doh as a child. I remember my salon kit, where I could make the Play-Doh people have hair and then chop it off using special scissors or a razor. We also had a Sesame Street kit and others that I can not recall right now. For some reason, I remember loving Play-Doh until I used it in the classroom and had my own kids. Don’t get me wrong – I still think it is a fabulous item that really helps kids imagination and fine motor skills, but man the clean up is the pits. Just the thought of this bucket of items can bring shivers down my spine. That purple octopus, that the kids lovingly call Henry, was not coming out of the box. Picking all of the Play-Doh out of his parts with a toothpick was not on my agenda today (did it last week). Eventually, I did cave and let them use his six removable arms. The Fun Factory extruder also a no-go. Yes, it is a great toy to help the boys with their muscle building and fine motor. On the flip side, the little guy got Play-Doh stuck in places last week that I had a tough time with. I needed one turn without it. The Play-Doh sprinkle maker would also remain in the box. Last week the Play-Doh sprinkles that were made wound up all over the table, hard wood floors, carpet, shoes and more. This may sound harsh, but it still left a lot of options. The kids could use the rollers, scissors, cookie cutters, and other items that mold/shape/cut or help create items, along with their own hands. Thankfully, the boys did not protest my rules too much. They were too happy to use the Play-Doh. If you have kids, do they like to use Play-Doh? 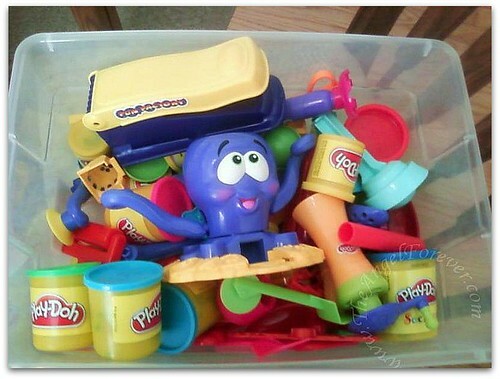 Kids or not, what are some of your current or past favorite sets to use when playing with Play-Doh? Thanks for any suggestions. I am always looking for new Play-Doh items that are kid tested and adult approved. . . especially when it comes to clean up. My grandchildren love to play with Play Doh. I have a couple of sets for them that I keep at my house. I have the burger and the monkey set. The monkey is a little hard to keep together. I have some plastic cookie cutters that are just as much fin for playing with Play Doh, than the sets. .-= Jess´s last blog ..Aloha Friday – Memory =-. My kids played with play-doh when they were young. It was home made though and they used whatever they could find around the house (mainly my kitchen!) as tools to shape the play-doh. I haven’t had any for my grandkids that I can think of although my grand daughter was telling me about some she has at home. .-= Simply Cathi´s last blog ..Wordless Wednesday – Let! Us! Out! =-. 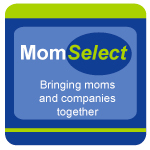 I don’t have kids and I don’t know much about the different kinds they have! Have a great weekend! .-= Natalie A.´s last blog ..Wholesale Keychain Digital Photo Keychain Winner =-. I do not have kids yet but I do have it in my house and in the past I’ve had and loved the McDonalds set. I totally agree. My kids can only play with PlayDoh outside. PlayDoh and carpets do not go well together. .-= kailani´s last blog ..Aloha Friday #136 =-. Oh man I loved Play Doh as a kid! My favorites were the burger maker (made each part of a burger, then you put it together), and the press with the stencil that allowed you to press the Play Doh out in different shapes (like spaghetti, or star shaped). Though I’m sure they have much cooler Play Doh sets out now. Feel free to swing by my blog to answer my question too! have not tried it yet, i know he would just eat it! lol, but we will soon……..
.-= noelle d´s last blog ..WW – Here’s lookin at you! =-. When my two daughters were little I had playdoh for them….clean up was brutal too! lol! Expecting my 4th grandchild now and would love to have playdoh here at my home for when the grandkids come to visit, but the memories of clean up are still strong! lol! .-= East Coast Wahine´s last blog ..Aloha Friday #26 =-. We play with it all the time – but we don’t have the contraptions that you do! Those look like a lot of fun! Wonder if you could leave the octopus (or other accessories) out and let the play doh dry rather than exert the effort to get out a toothpick. The amount that you would lose would be negligible, but the hassle would drop a lot. My other thought would be to soak in water and you should just be able to “swish” it out in the sink. Just thoughts. I purchase a kit that had different roller and cutters for play-doh… really loved it. 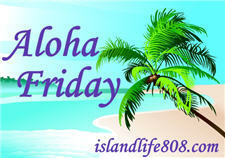 My Aloha Friday Link for you Making it easier for you to visit. .-= Auntie E´s last blog ..My Vintage Sewing Room Project. update =-. 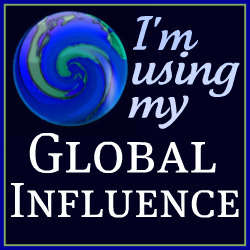 .-= Teri H´s last blog ..Follow Me and Watch Us Grow ~ Plus a $25 Amazon Gift Certificate Giveaway =-. My kids were never big Play-Doh fans, I’m not sure why. They have always loved Legos, even now that they are older. .-= Kari´s last blog ..Me And My Gangreen Thumb =-. We loved Play-Doh! Like 100 years ago of course..but we would use cookie cutters and anything that reminded us of cooking. .-= Harriet´s last blog ..How to you make friends online? =-. Jack is 3 and we haven’t introduced him to it yet, but he will move up to Children’s Church in september and we won’t be able to keep him from it then. We’ll see how he likes it! .-= Lori´s last blog ..Remembering Thomas =-. We LOVE playdoh. I have a bunch of the tiki island set (we bought them on clearance at target many years ago). We also have a bunch of the builder tools and many cookie cutters. Most of what we have were Christmas gifts to my eldest (he is now 9). My daughter just recently got the ice cream maker set. I have hardwood floors and we just sweep it up when they are done. .-= Melanie @ Whimsical Creations´s last blog ..Aloha Friday #28 =-. I know the girls love playing with playdoh. In fact they have just started using it but have no factory sets yet. Oh yes, my girls loves play doh. .-= Annie´s last blog ..Aloha Friday!!!! =-. .-= Stacy (the Random Cool Chick)´s last blog ..Aloha Friday Follow – Thunderstorms =-. Kids love water play as much if not more than play-doh. Give them a sink or bucket of warm soapy water, sponges and toothbrushes for those hard to clean areas and let them have a blast cleaning their tools themself. My kids love it, but unfortunately they don’t know how to put it away, so we are always having to throw out tried chunks of it. I plan to start making our own instead. I don’t know what sets there are, really, since we we just have the dough and no accessories. I wasn’t allowed to have it as a kid, bc of the mess! Mty littlest niece loves it and tells me i don’t do it right! Yep, loved Play-doh when I was young and my kids also liked making Play-doh fun. I used to love it & so did my kids. They don’t really play with it anymore. I had that hairdresser set too, that was my favorite. I remember when my kids were little, we had a ‘farm’ set, with a barn, farmer, cow, etc. That they liked. It is so funny that you bring up Play dough. The day we brought home baby sister I took out Taylor big box of it. He only gets to see it on days when we have been stuck in for a while. He was in love and I actually left it out for him all week, since it was able to keep him busy (and playing alone) for quite a long while. I do agree however that play dough is a bit of a pain and I tend to only take it out when we are in dire straights over here. We only have some random pieces that I have picked up at yard sales, Though maybe for Christmas this year I will get him an actual new set seeing as he loves it so much. My daughter hasn’t used Play Doh brand playdough, as I have opted to make it for her instead. (I didn’t want to pay all the money to have several containers of brown). She is just starting to get into playing with it. We use an old rolling pin and cookie cutters. .-= Jolly Green Mommy´s last blog ..Night 1 (Aloha Friday) =-. Play dough is such a mess. I’m anti play dough. .-= Mrs. Marine´s last blog ..Aloha Friday #25 Goodbye LOST :( =-. I’m not sure you you seem so apologetic by not allowing the boys to play witht eh extra stuff that now is available for Play-doh. Once upon a time you had the canisters of play-doh and the rest was left to your own imagination, design and own two hands. .-= Devo K´s last blog ..Some humor =-. My kids like play doh, but I feel the same way about it that you do! I have them play with it outside now, on a plastic table cloth. The crumbs in the house drive me crazy. Sometimes I make salt dough instead. It is less crumbly and a little easier to clean up. They love to bake and paint the shapes. We use cookie cutters, rollers, etc.